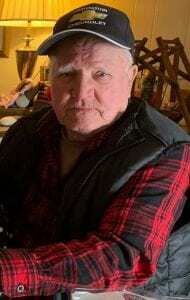 Henry A. Harrington Sr., age 84, passed away at home in Claysville on Tuesday, November 20, 2018. Born on January 17, 1934, he was the son of the late Theresa Ann Miller and Clyde Harrington. Henry Harrington retired from the Army with honors, March 10, 1981, after retirement Henry worked with Covenant trucking and Bailey Control. He was a man with a great gift to always tinker and make things new. He enjoyed life, great finds and traveling. He was the beloved husband of the late Carmolea Harrington; loving father of Julie (Tim) Valastek, Traci Salisbury (John Hayes), the late Terry Jesenovic and Henry A. Harrington Jr.; cherished grandfather of Justin, Blake and Lee Harrington, Brandi Titus, Richard Bowers, Stephen Fitch, Rebecca Parks, and the late Tara Jesonovic; great grandfather of Lillian Titus, Cardelia Hewitt, Baylee and Clara Bowers and Jaxson. Henry’s memories will forever live in our hearts. Always in our hearts dad, kiss mom, Buck, Terri and Tara for us. We are heartbroken but have peace in knowing you are in glory!